The wait is over! 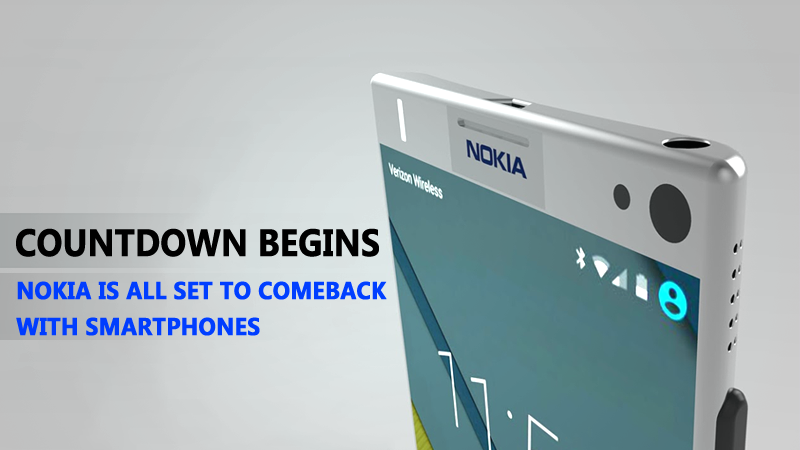 Nokia is all set to make a comeback in the smartphone market in 2017. HMD Global has selected Mother as its lead global agency. Nokia’s comeback to the smartphone market is one of the trending news in recent times. There were lots of rumors and leaks which suggest that Nokia is about to make a comeback with a brand new lineup of smartphones and tablets Running on Android OS. So, the good news is Nokia is all set to make a major comeback in the smartphone market in 2017 as the Finland-based company is preparing to launch two new smartphones. The rights to launch, manufacture, sell and advertise Nokia phones is bought by HMD Global and the company has selected Mother as its lead global agency. Mother will put marketing effort to enhance selling Nokia Branded smartphones. The report from Adweek also suggests that Mother’s first work for the brand will be a global launch campaign for the upcoming Nokia smartphones. The reports also indicate that the new Nokia smartphones are going to hit the market in 2017. Therefore, Nokia is making a major comeback. For now, we have to wait until 2017 arrives to find out how much these reports turns out to be true.